WELCOME TO FRESH LEAF DELI! Fresh Leaf Deli serves a variety of fresh foods including gourmet sandwiches, panini’s, wraps, Hereford beefburgers and other gill items, soups, baked potatoes, and a variety of hot meals. 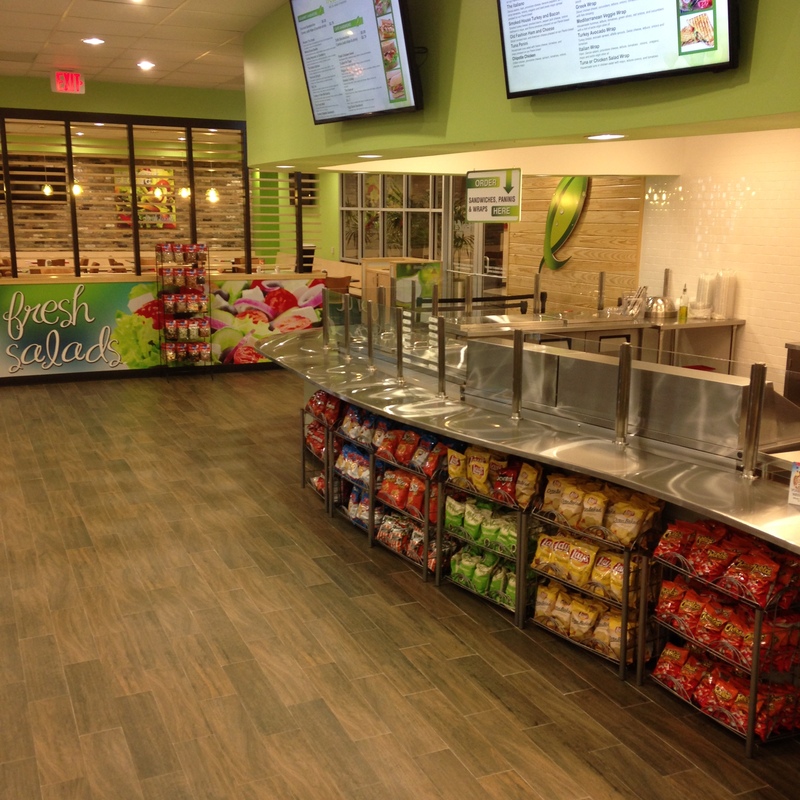 Our main focus is our 12 foot salad bar, which has an enormous amount of toppings to choose from. Don’t worry, we do all the mixing for you! Our design and layout has our customers in mind to make the ordering process fast, simple and enjoyable. Fresh Leaf Deli has a warm and inviting atmosphere that uses recycled materials as part of our design. Our ultimate focus is to give the best customer service possible. "Our number one priority at Fresh Leaf Deli is to provide our customers with the finest and freshest quality food at a great value with the best customer service possible." Enjoy! And we hope to see you soon!